Bought locally as part of a job lot of cars from someone clearing out their loft. I had received a message from a friend of mine who told me someone was trying to sell some old cars at one of my local model shops and the shop had passed on his details to me. 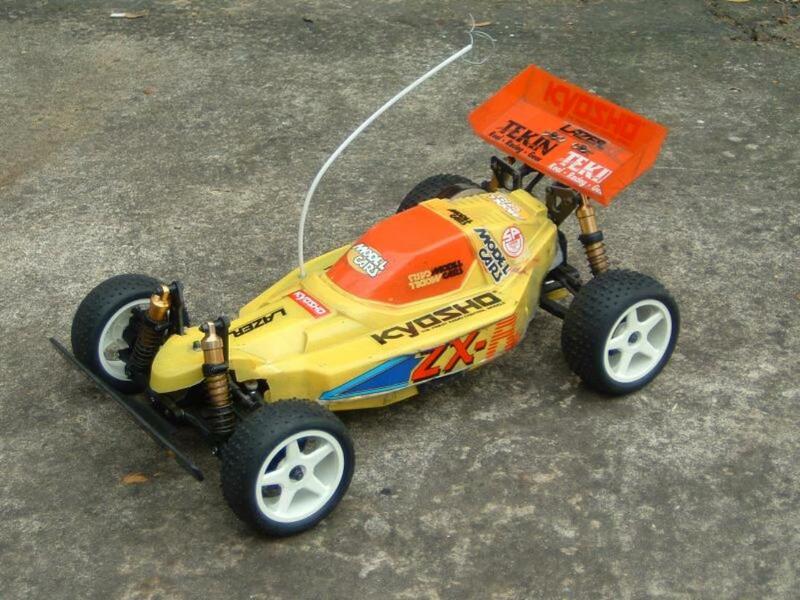 The description was very vague (Kyosho Lazer ZX, Optima and a Mini) but being busy at work I never got the time to contact the seller. A few days later I got a phone call, it was the other local model shop calling to say someone was in the shop trying to sell some old cars. 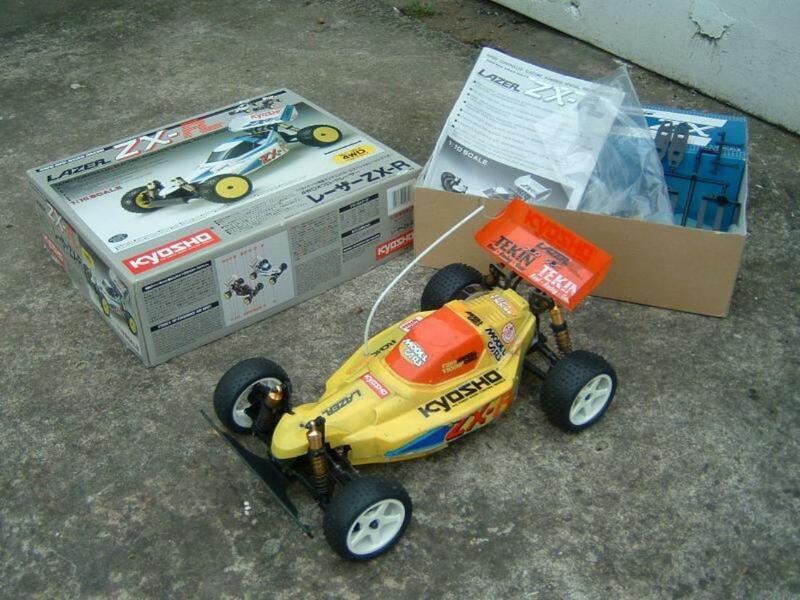 After speaking to the seller I discovered he was selling a Procat, Lazer ZX-R, Mid Custom and a Kyosho Mini Cooper, with radio, boxes and manuals. As he couldn't find anyone who wanted them if I didn't want them they were destined for the bin. I arranged to call round that night! One of the cars was this Lazer ZX-R. It is almost new and it included box and manual. 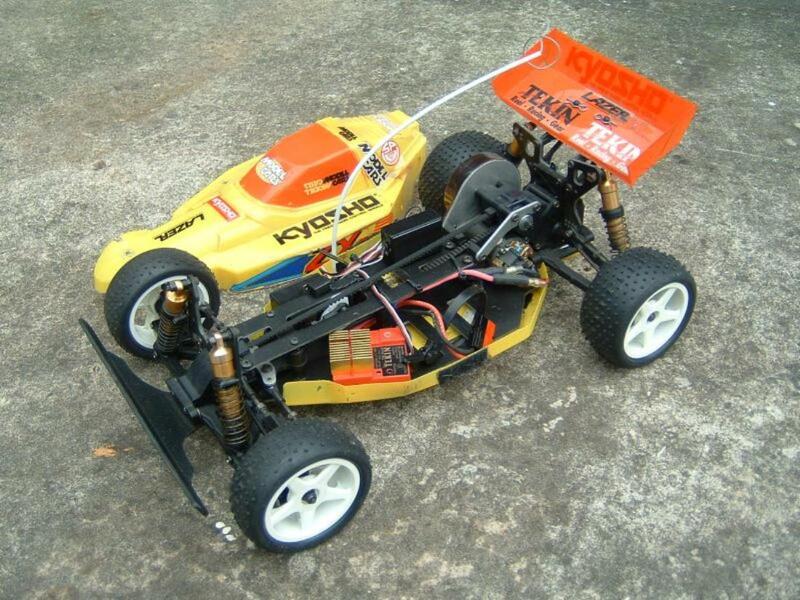 The ESC is an old Tekin 610RV, a great old no limit ESC with reverse, but a little bit big to fit inside the body. It has tie wraps for stick battery packs, but the saddle pack straps are in the box still on the sprue. Unfortunately to fit saddle packs I would have to replace the ESC as it is too big. The body has not the greatest paint scheme, close up the painting looks a mess. One good point of the body is that the masking film is still on it - I should be able to peel the stickers off it and apply them to a new or repainted body without having to find new ones. Front bumper is a Kydex aftermarket item, but the original is also in the box. Some nice 5 spoke wheels are included with the original H pattern tyres, but the original dish wheels with Option House tyres were also included. Absolutely perfect condition, it would make a great shelf queen but it just begs to be run on a track. 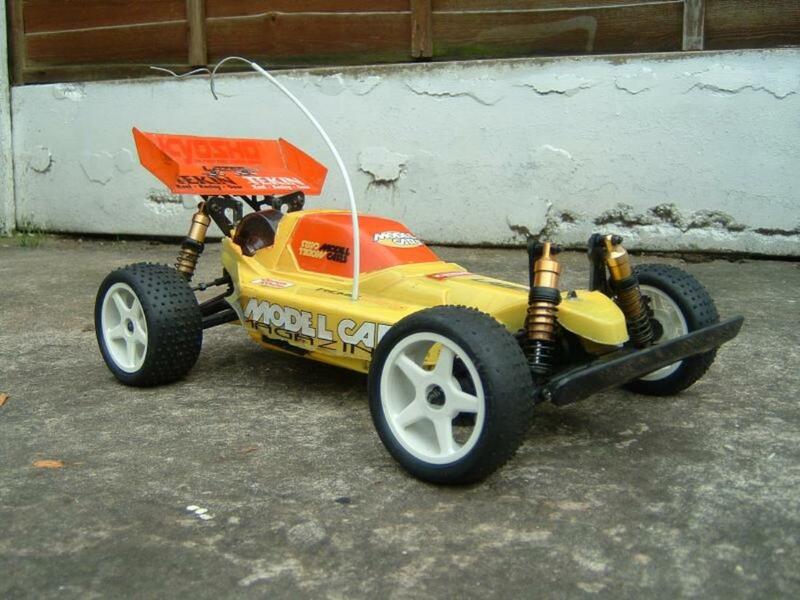 Expect to see this running around Kidderminster at the next meeting with a very hot motor in the back of it. With all extras How big an ESC can you get in there Overspray masking film still on! Nice find! 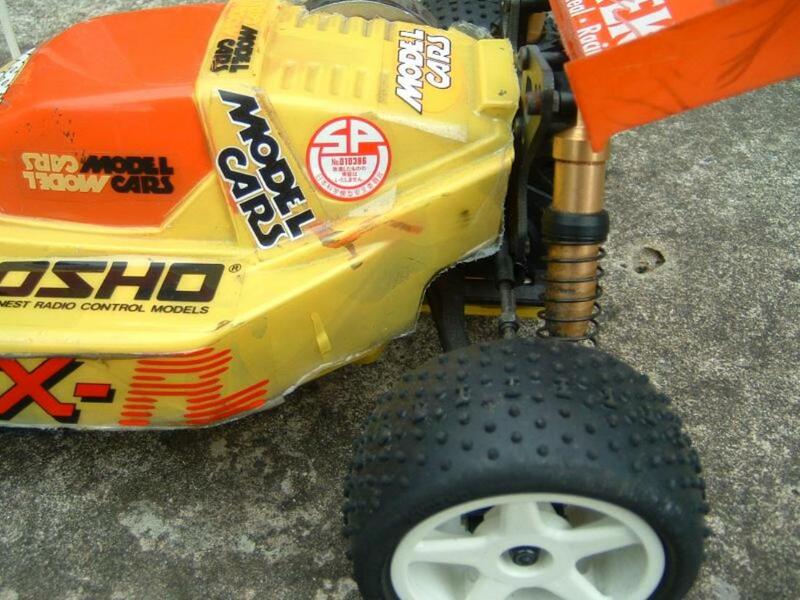 Hopefully with a bit of nitro fuel or delta activator you should be able to remove the paint as well as the stickers. Yes, they are JC wheels. very hard to find 5 spokes these days, but i think they look so much nicer than the dish wheels on all modern buggies.